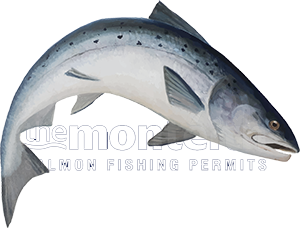 The 15th of January each year is indeed a highly monumental day in the Scottish salmon fishing calendar as it marks the opening of the River Tay salmon fishing season. Thousands of salmon fishers will ascend on the Tay today for this special occasion and in pursuits of Scotland's finest gamefish. The 'magic' of being back out on the Tay is a big relief for thousands of dedicated Scottish salmon fishers who started their own personal 'countdown' shortly after Christmas was over. Great celebrations will be happening on all the Tay salmon beats today and the sound of bagpipes will be heard throughout the valley at around 9am when each River Tay salmon beat will having its own individual opening day ceremony. Make no mistake about the fact that there will be a scattering of fresh run Spring salmon holding in the many of the Tay salmon beats throughout the river system today due to the recent mild air temperatures and decent water levels. Although these fish will be present it often takes a little bit of good fortune to place your fly or lure at just the right speed into that square metre of water directly in front of a Spring salmon to get it to take. Being extra patient and methodical in your salmon pool approach will often pay off in the first few opening weeks of the Tay salmon fishing season. The Tay will also be full of many successfully spawned kelts and occasional 'rawners' & 'baggots' that are salmon from last Winter that haven't spawned yet or possibly won't spawn. These salmon are out of condition and are usually very keen to intercept a fly or lure and it's normal to hook many before connecting with the big silver fresh run River Tay 'Springer' you seek. Treat these out of condition salmon very carefully and show them the respect they deserve as these are the successful salmon that have made it back against the odds to keep the Tay populated with new stock. The middle River Tay is and always has been a fantastic Spring salmon holding area and none more so than the Dunkeld House salmon beat which has some of the most attractive Spring salmon holding water on the entire middle Tay. I'd be very surprised if this fabulous Tay venue doesn't produce a few perfect fresh run heavyweight Spring salmon in the next few weeks as 'true' River Tay expert Gordon Pollock is 'Head Ghillie' on this excellent middle Tay salmon beat and he has a great habit of stopping early fresh run River Tay Spring salmon. Whatever you do today make sure you treat every tug, dunt or click on the fly reel with the utmost caution as often the take from a perfect River Tay Spring salmon will commence in the most subtle manner. Give your fish a few extra seconds after you think the time is right to set the hook as often the take is a slower more drawn out affair in these very cold early Spring water conditions. Keeping your composure is important and don't let the caffeine or malt whisky make you react too quickly. Always fish with a suspicion that these perfect Spring salmon could be right in front of you today and know that they haven't seen a lure this year which usually means 'sub surface cooperation' when they do!